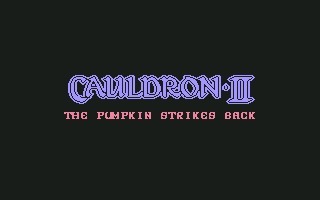 Cauldron II: The Pumpkin Strikes Back is a horror platformer created by Palace Software and released for the Commodore 64 in 1986. 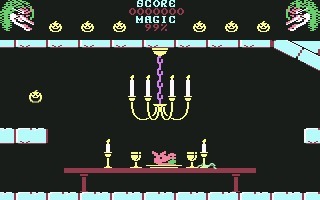 Cauldron II: The Pumpkin Strikes Back is a horror platformer created by Palace Software and released for the Commodore 64 in 1986. 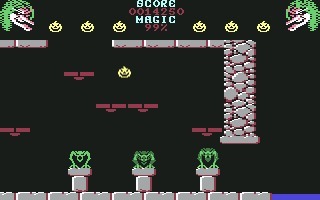 The game was also ported to ZX Spectrum and Amstrad CPC. 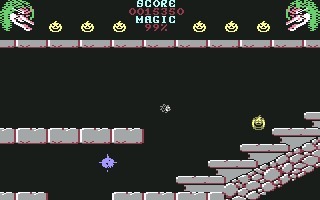 This brilliant adventure/platformer is the sequel to Cauldron, one of the most popular titles for the C64 at the time. 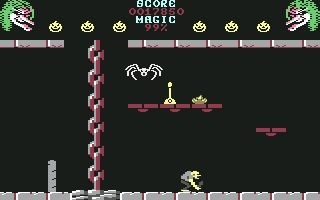 The designer, Steve Brown, together with the coder Richard Leinfellner, decided to take inspiration from the first title and continue the plot, but change the gameplay drastically. 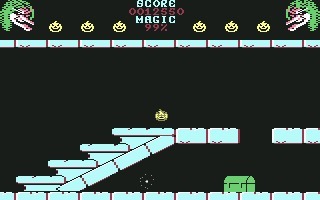 The main character is now a magic pumpkin, that bounces on the screen like a ball. This unusual game mechanic was a brave move for the developers, considering that the hardware of the 8-bit computers didn't allow complex calculation, but in the end, it was a winning move. 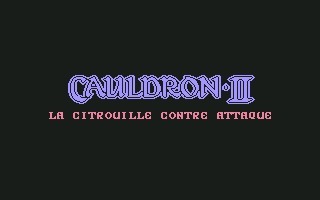 Cauldron II, despite the difficulty level - quite high -, was a commercial success, just like the prequel. Thanks to the sales of the two titles, Palace Software gave full freedom to Steve Brown to create his next game: Death Sword, aka Barbarian: The Ultimate Warrior, that will be released in 1987.